Australia’s beleaguered prime minister warned he would quit Parliament on Friday if his disgruntled party continues to try to oust him. Malcolm Turnbull is under mounting pressure from supporters of his rival, former Cabinet minister Peter Dutton, to hold a leadership ballot of politicians in their conservative Liberal Party on Thursday. Mr Turnbull bought himself time by announcing he would hold a party meeting on Friday, but only if a majority of at least 43 politicians in the party signed a petition requesting a meeting. If that meeting wanted a leadership ballot, Mr Turnbull said he would not contest his job and would not stay in Parliament. “What we have witnessed at the moment is a very deliberate effort to pull the Liberal Party further to the right,” he told reporters. Senior ministers Mathias Cormann, Michaelia Cash and Mitch Fifield had earlier told Mr Turnbull that he had lost his government’s support and must hold a ballot quickly. It was a major blow to Mr Turnbull’s chances of staying in office. Mr Turnbull had defeated Mr Dutton 48-35 in a surprise vote on Tuesday. 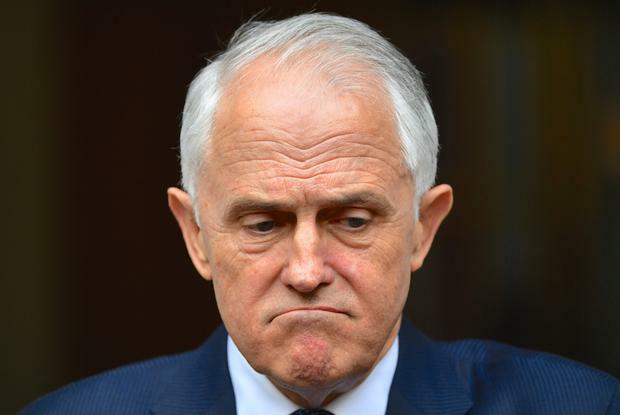 Mr Turnbull initiated the ballot in the hope of ending speculation that his government had lost faith in him in the face of poor opinion polling. Mr Cormann, the finance minister, had publicly stated his support for Mr Turnbull on Wednesday, but on Thursday said Mr Dutton should lead the government. “I was wanting to continue to support Malcolm Turnbull for years to come as leader of the Liberal Party. But I can’t ignore reality,” he told reporters. “When I have five Cabinet colleagues telling me that they supported Malcolm on Tuesday … but they have changed their position, that is not something that I can ignore,” he added. Media reports said other politicians were considering running for Mr Turnbull’s job, including Treasurer Scott Morrison. On Wednesday, Mr Dutton’s supporters circulated a petition among Liberal Party politicians in a bid to force Mr Turnbull to hold a ballot. But they failed to get the minimum 43 signatures that were required. The opposition narrowly lost a vote in Parliament that would have sent Mr Dutton to court to determine whether he is eligible to be a prime minister. The vote to refer Mr Dutton to the High Court was defeated 69-68 in the House of Representatives before it adjourned. Mr Dutton has released legal advice that his family’s ownership of two child-care centres that received federal funding does not breach a constitutional ban on politicians having a pecuniary interest in an agreement with the public service. Some constitutional lawyers say there are areas of doubt. Such a pending court case could scare politicians away from supporting Mr Dutton in a leadership ballot. Government lawyers are investigating his case to see if there are issues for the High Court to determine. Mr Turnbull said he wanted the government’s legal advice on Mr Dutton’s eligibility presented to Friday’s meeting.